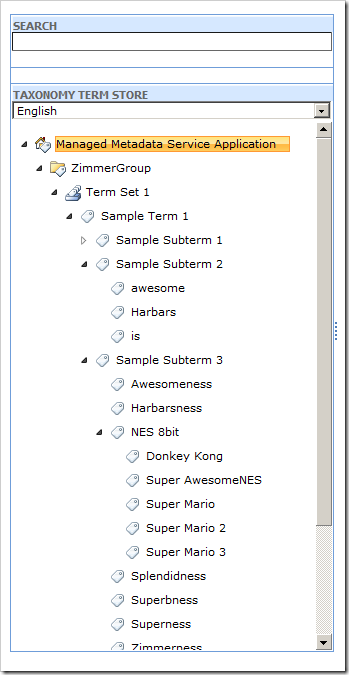 One of the coolest new set of functionality for SharePoint 2010 is the Taxonomies (Term Store, Term Sets, Terms) that you can easily create using the amazing Managed Metadata Manager service application. 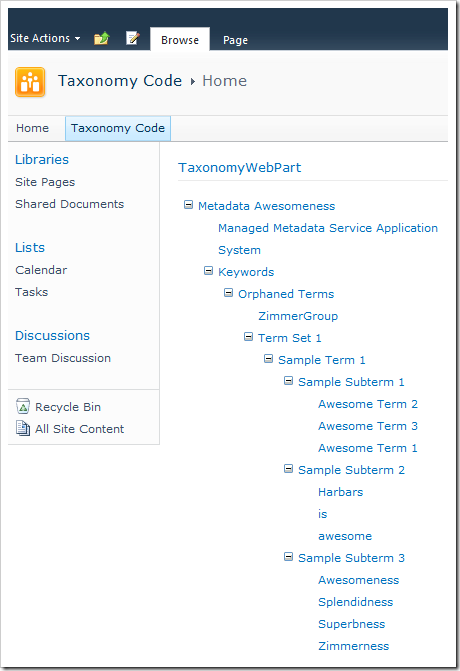 In this article I’ll talk briefly about how you can utilize the SharePoint API to programmatically work with Taxonomies and create terms and fetch the terms in your term store. This should give you some nice ideas on how to get going! 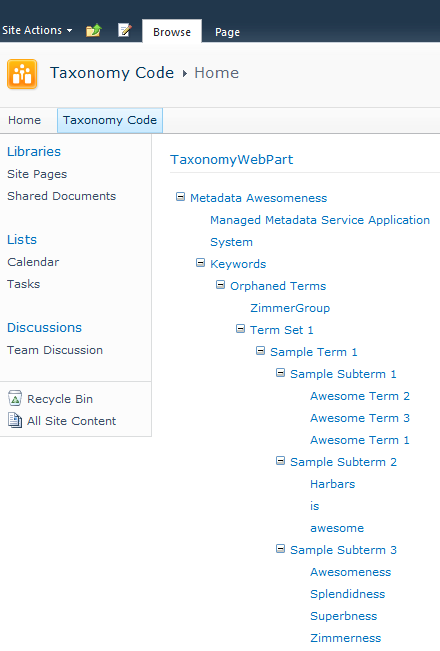 So, if you’ve got a taxonomy configured in your Managed Metadata Service Application, you can work with those programmatically – and that’s what this little tip is about. 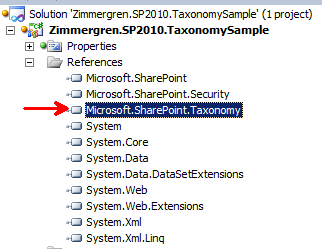 In this article I will talk about some of the basics to get started with taxonomies in SharePoint 2010 programmatically. 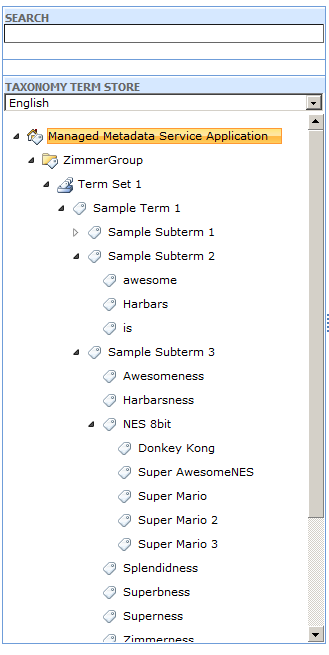 First, of course, we need to create a new project and add the references for the Taxonomy API. First of all, create a new project (In my case, I chose to create a Visual Web Part project). That’s about what you would need to get started with this! Alright, so I wrote this small article up due to some students asked me for some taxonomy sample code a while back. 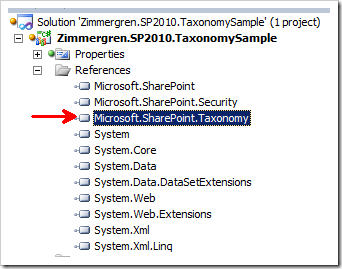 I hope everyone enjoys this tip on how to programmatically work with the Taxonomies in SharePoint Server 2010!